By Bradford Wernle . Published on May 20, 2014. 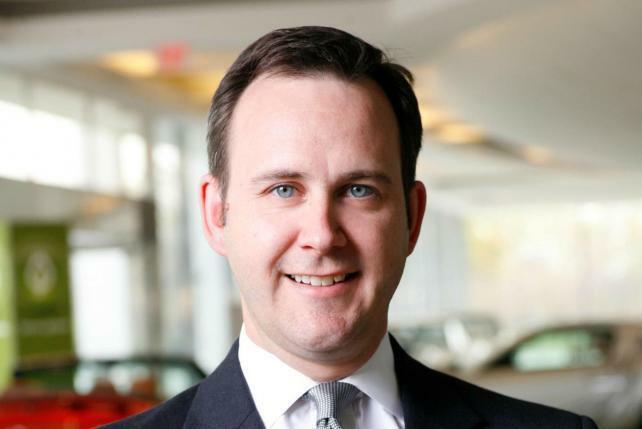 Scott Monty, the architect and face of Ford Motor Co.'s pioneering social media efforts, has left the company after nearly six years. Mr. Monty served as a strategic adviser on all social media and digital activities at Ford, from blogger relations to marketing support, customer service and internal communications. His title was manager of global digital and multimedia communications. In a statement posted on his Web site late Monday, Mr. Monty said he left the company to pursue something else that will be the subject of an announcement soon. Spokeswoman Susan Krusel confirmed Mr. Monty is no longer with Ford but declined to elaborate. "We thank Scott for his service and wish him well," she said. Mr. Monty joined Ford in July 2008, according to his LinkedIn profile, and played a key role in using social media as a marketing tool and platform to reach new and existing customers throughout the company's business worldwide. Ford was the first company to reveal a vehicle on Facebook, and the first brand to join Google+. Alan Mulally, who will step down as Ford CEO in July, once called Mr. Monty "a visionary." When Ford reintroduced the Fiesta a few years ago, it recruited 100 so-called social influencers to help build awareness for the subcompact car. The company gave each of the participants a new Fiesta for a year to create digital content about the vehicle. The program generated countless tweets, blogs, photos and videos on social media -- much of it aimed at younger consumers -- about the car before its traditional market launch. Mr. Monty was was once ranked by Forbes magazine as one of the top 10 influencers of social media. He was the key strategist and architect in implementing global marketing chief Jim Farley's vision of making Ford the industry leader in social-media marketing with campaigns like the Fiesta Movement and Random Acts of Fusion. "I started my own blog in the early 2000s so I've been at this for awhile," Monty said in a 2013 interview with Boston University, where he received an MBA. "Ford realized in late 2007, early 2008 that this was a strategic imperative. So the position was created by the executive team. I came to the company with that mandate to lead in social." With programs like Fiesta Movement, Escape Routes and Random Acts of Fusion, Ford has raised awareness of its products early in the launch cycle -- what Mr. Farley likes to refer to as prelaunch. The company has also used the programs to extend excitement surrounding the launch. By using social media, Mr. Farley believed, Ford could break the traditional marketing mold where carmakers spent millions of dollars on the so-called "launch and leave" formula for advertising. Automakers often wait until dealers receive a new model, spend millions on TV ads in a short period and hope the car will keep selling. Prelaunch programs that leveraged social media gave Ford the ability to stretch awareness and excitement both before and after a product launch. In the statement on his Web site, Mr. Monty downplayed any suggestion his departure would mean a step back for Ford's digital and social media efforts. "The operation is bigger than me, and we have a cadre of people who will do just fine," he said. Mr. Monty told Automotive News earlier this year that social media is here to stay and that it will play an increasingly important role for the auto industry beyond just pitching products. "We have to do a better job of listening -- listening to what the consumer wants, listening to what the consumer is saying about our product -- rather than being so focused on what's the next platform we're going to use to go advertise," Mr. Monty said. "Because that's where the value is."